In honor of the National Park Service turning 100 years old on August 25th,2016, images and love for our most precious of natural wonders has been coming in from all corners of the world. Today, as I checked Twitter, I caught a glimpse of a view of Olympic National Park that I rarely see. From high above the atmosphere on the International Space Station, Astronaut Jeff Williams shared both images and a video of America’s most-diverse National Park. From high above, the rainforest-lined river valley show off a stunning green, while the Olympic Mountains look perfect, pristine and as wild as they are. I don’t often need to wipe drool from the corner of my mouth while looking at pictures of my backyard, but these pictures truly are beautiful, inspiring and breathtaking. 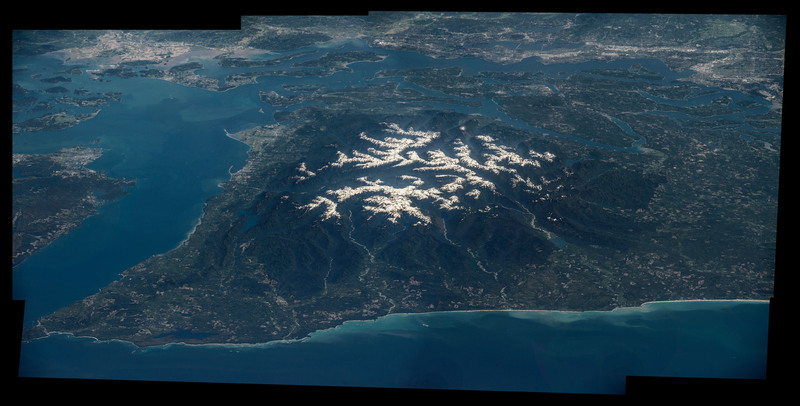 While this isn’t the first time we have shared pictures of Olympic National Park from space, these images are taken from a unique angle that lets us look east, from the wilderness coast up into the rainforest valleys and glaciated peaks of Olympic. I encourage everyone to play around and take in the full picture that Nasa provided, but first enjoy the highlights. Even the most jaded critic of public lands or NASA would have a hard time not getting a little excited about these pictures. High above the earth, the Olympics still looks as wild and stunning as they do in person. As the National Park Service turns 100 years old on August 25th, I can’t help but be excited about the next 100 years of public lands and the images, explorations and awe-inspiring adventures future generations will have. Thanks NASA, for sharing these images and allowing us to get a new perspective on the splendor and beauty of our public lands. Want to See Olympic National Park from the ground?